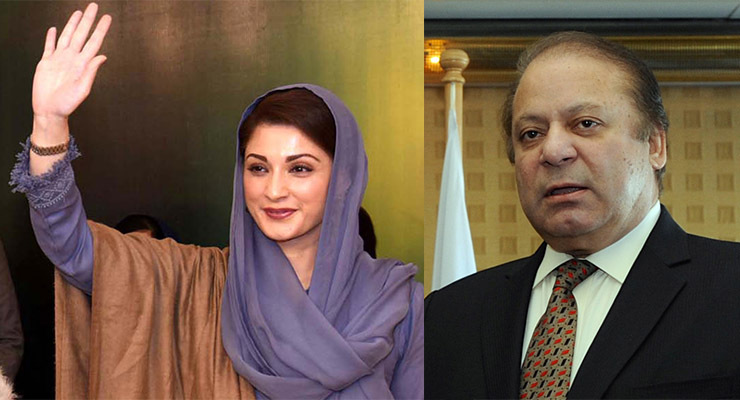 Islamabad High Court (IHC) ordered to keep Nawaz Sharif, Maryam Nawaz and Capt (retd) Safdar remained behind the bars until the upcoming General elections of 2018, which are going to be held on 25th of July. The Sharif family’s lawyer submitted the appeal against the Avenfield apartments case decision in IHC. The judge of IHC delays the hearing of appeals and put it into the waiting list and also issued the notices to NAB and investigation officer to give the records of this case. Three appeals have been filed by the Nawaz Sharif and two filed by Maryam Nawaz and Capt Safdar. These three members of Sharif family have been sentenced in the corruption case and were expecting to come out of the jail before the election and start the campaign of their party, but their hopes got shattered one more time and their appeals have put into the rest till the last week of July. Pakistan Muslim League- N leader requested the court to not waste time he said, “We want that the appeal should be decided as quickly as the trial was held”. The former Prime Minister Nawaz Sharif, his daughter Maryam Nawaz and her spouse capt (retd) Safdar got arrested into the illegal property case of Avenfiled in London and presently these three are in Adiala Jail Rawalpindi. 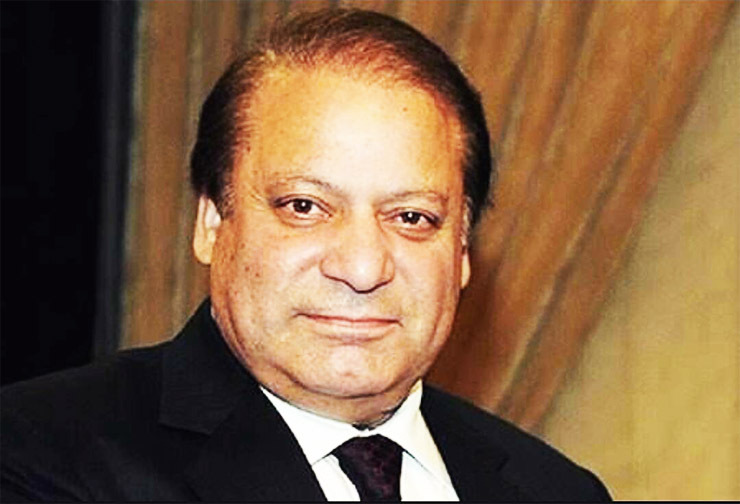 Nawaz Sharif’s lawyer Haris submitted the application to transfer the remaining cases to another court in which includes Al-Azizia Steel Mills and Flagship reference case which are currently under the Justice Mohammad Bashir who heard the Avenfield case earlier. Meanwhile, Justice Mohammad Bashir wrote a letter that he has no issue if the remaining cases have to transfer to another court. Nawaz Sharif has been sentenced for 10 years, Maryam Nawaz for 7 years and Safdar for 1 year in jail and currently their appeals are on hold by the court until the upcoming General election of 2018. The former Prime Minister Nawaz Sharif and his daughter Maryam Nawaz found guilty in reference of Avenfield flats case. Nawaz Sharif was sentenced to 10 years in prison and 8 Million fine and Maryam Nawaz sentenced seven years in prison and 2 Million fine while, Capt. (retd) Safdar was given a one-year imprisonment. 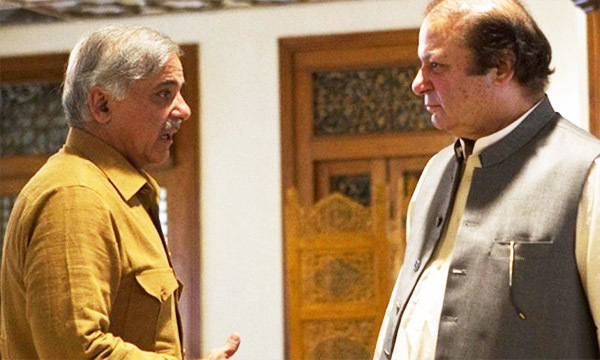 The Sharif family submitted the plea to delay the verdict announcement in front of NAB, which was declined. The National Accountability Court’s (NAB) Judge Muhammad Bashir announced the verdict against Avenfield flats and ruled the order that apartments shall be seized by the Federal Government. Moreover, Maryam Nawaz now cannot contest the upcoming general election of 2018. The Election Commission of Pakistan stated that Maryam’s name will be removed from the ballot papers of NA-127. Nawaz Sharif and Maryam Nawaz were not present in the court and earlier on Thursday, requested to delay the verdict as they want to be in the court at the time of announcement but the court denied the plea and announced the historic decision in their absence. The judge called the lawyers of both sides and didn’t allow the media inside the chamber until he reached the final decision. The Sharif family is currently in London due to ailing Kulsoom Nawaz and heard the verdict at the Avenfiled apartments together. Furthermore, Shahbaz Sharif tweet right after the announcement, “Pakistan Muslim League (Nawaz) strongly rejects the verdict of the Accountability Court in the Avenfield case. History will remember this verdict in black words. The decision is flawed, politically motivated & has glaring loopholes.” He further said, “The NAB court’s decision is based on oppression & cruelty. The name of Nawaz Sharif was not mentioned in Panama papers nor was it there as owner of Avenfield flats.” While disagreeing to the NAB’s decision he tweets, “There is no denying the fact that NAB has dual standards of justice. Proven corruption cases have been pending before NAB for many years. Some as old as ten years but no action was taken. Justice on pick & choose basis is no justice. In times the Sharif Brothers (Nawaz Sharif and Shahbaz Sharif) did way better than others. They have been able to start and/or complete some very important projects which helped the people of Pakistan. Motorways, no doubt about it that all those Motorways planned by Nawaz Sharif helped Pakistanis and reduced traveling times. Other recent project are all about the transportation. Lots of roads being renewed. Even the metros, whatever we say, but on end of day people are traveling on those metros and getting the benefit. In current tenure again they are going very good with infrastructure projects but same is point where we clearly see the problem. They put too much attention to infrastructure, mainly the transportation. Their priorities are not correct, the main things they need to put attention are being ignored. This is very much necessary. Our police is not up to the mark, there are millions of things wrong with them. They are ill equipped, they have lots of bribe getting bad fishes in them, they do not operate on international standards by far, they are not paid well, they are not facilitated well and more over best of police resources are assigned to protocols and VIP duties, mainly providing the security to people in power. What I recommend is, without further delay full attention needs to be put on Pakistan Police. When I say police I am talking about the police in all provinces and the capital. A million things need to be fixed in our police, some of them can be as follows. Corruption – Biggest issue is corruption and bribe culture within our police. This is big issue know to every Pakistani. For this purpose new people need to be hired in same police department, who work on same police ranks, but main purpose of them being in department should be keep the eyes on other policemen around. They should secretly report to some other body which have sole purpose of finishing all the corruption from police department. Salaries and Perks – Police men work round the clock, they can be called anytime and there is nothing like off time for them. But what they are payed is very less as compared to their job requirements. Same is the reason which stops lots of well educated and worthy individuals from joining the department. So salaries of all police individuals need to be raised way above the minimum salary of Pakistan. They are supposed to do very important job of protecting people, so they must be payed very well. Additionally they deserve further perks like pick and drop etc. I have seen lots waiting on roads for lift or using the public transport. Specially late nights there are not options they have other than taking lift from work to home. Resources Allocation – This is very important aspect, all the good resources are allocated to VIP protocols and the vehicle which are supposed to be involved in chasing the thieves and violators are in very bad condition, mostly very old. Other than the capital, mostly police is relying on those Toyota Hilux models right from the stone age. In most cities of Punjab and other provinces, police does not have any “CARS” to chase the thieves. If you see the Pakistan Muslim League Nawaz’s (PMLN) Manifesto for 2013 elections, it also correctly spells out the health issue in Pakistan. But later after coming into the power, in my opinion, not much was done in this regard. The problem is not only about the lack of facilities, the bigger problem is of lack of maintenance of current facilities as well as the behaviors of officials to towards their jobs. In government hospitals even if some equipment is available, it largely happens, when you visit, you will be told that certain machine is not in working condition. Not saying this out of nothing, happened to me. Plus than there is problem of doctors and other staff, they just don’t do the job like they should. Well, most of them. The main issue is of lack of check and balance on the hospital staff. There is just no one to keep and eye on daily operations. Hospital staff many times have been seen involved in selling those free hospital medicines out in the market. One very important thing Pakistan need to put full attention is shortage of energy and problems like Load Shedding of electricity. No we are NOT incapable of generating the enough electricity but here again problem of lack of management comes. Mostly we have problems like circular debt, then recovery of bills and finally line losses. We have generation capacity of over 23 Giga Watts from which about 18 Giga Watts could easily be generated anytime in the year. But no, all those plants are never run together. Sharif brothers need to put some more attention to this issue. Although, they claim to get rid of electricity load shedding issue once and for all in the start of 2018 but that does not match to their claims which they had made in their election campaign more than three years ago. In campaign I heard Shahbaz Sharif giving many different timelines for solution of electricity problem, which ranged from 6 months to 2.5 years. But here we are well passed three years and we are being offered the solution of all electricity problems by the start of 2018. When it comes to energy, the electricity is not the sole issue of Pakistan, the Natural Gas also is. In this regard, government finally after three years of coming into power have been able to do some Liquefied Natural Gas (LNG) import contracts. The situation up till now was worse. But lets see if these contracts really pay off, and that we will definitely know in peak Gas usage season, I mean winters. One very big problem people of Pakistan are facing is of very slow judicial system. When someone contacts a court for justice in a certain matter, they have to sometimes wait for years more than those of a life time and then I have seen the children of people fighting same cases in courts. In most cases our judicial system does not have a fast solution. Slow justice is no justice in my opinion. And Sharifs’ led PMLN party’s manifesto for 2013 elections realizes this issue and they had a plan to implement a methodology to deal with most cases within a year at most. But unfortunately till now nothing have changed yet. Hope Sharif deal with all this soon. There is whole lot of other stuff which I would have mentioned here for Sharifs to put attention on along with roads, but I leave rest to them and hope they will deal with some other real problems to along with all the good work they have been and are doing in terms of building roads. Do give your input as well in comments section below. Feel free to share this with friends. Nawaz Sharif, the Prime Minister (PM) of Pakistan have just addressed the nation in response to comments and allegations, which his family is facing the following the leaks in Panama papers. In his address to nation Mian Nawaz Sharif started with the history of Itifaq Foundries, how his father Mian Sharirf setup the Itifaq foundries, how the business was shutdown many times in the history. And than how the Sharif family restarted the business from scratch multiple times after being victimized for political and other reasons in different cases. 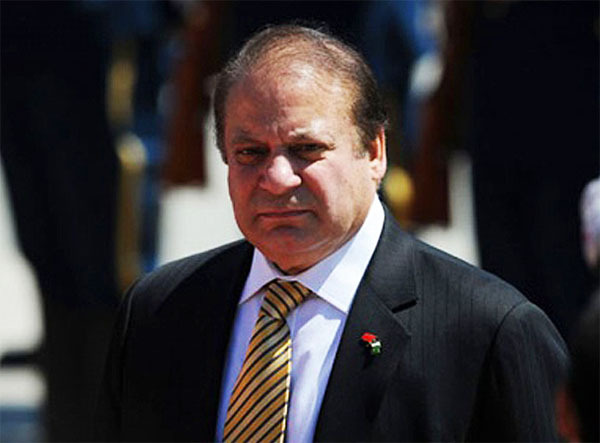 The main agenda of address to the nation was revealed in the end of the speech, which was, Mian Nawaz Sharif setup a judicial commission which will listen to any complaints by political rival or any body interested about the leaked story, they will than investigate that either the family members really are involved in any wrongdoing or illegal practices or not. Watch the following full speech video. 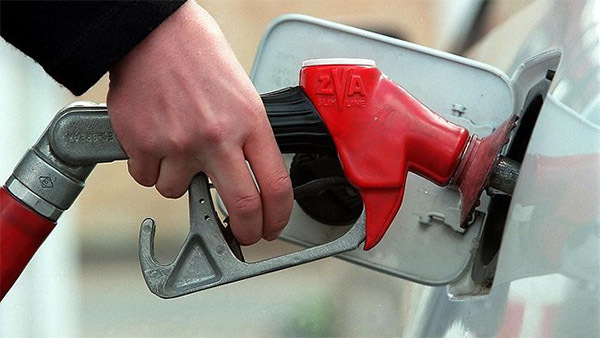 Few days back while recommending the petroleum prices for March 2016 OGRA (Oil and Gas Regulatory Authority), had recommended the 8.48 Rs decrease in price of petrol, which eventually have been approved by government today. The new price of petrol is set to Rs. 62.77 per liter. The price of High Speed Diesel (HSD) was also reduced by 4.67 per liter by setting it to the Rs. 71.12 per liter. Light Diesel price was also Reduced by Rs. 1.97. Also, OGRA had recommended the increase of Rs. 1.66 in prices of Kerosene oil, which was not approved, resulting in no change in prices of Kerosene oil. Reduction of all the prices was resulted by dropping prices of petroleum products in the international market. Normally, OGRA announces the change in petroleum prices, however, this time as mostly the prices were being reduced, so Prime Minister Nawaz Sharif did not let go the opportunity to announce the price drops. He also mentioned that Pakistan is only country in region which is passing the drop in fuel price to the masses. But in reality, in percentage government of Pakistan is taking much more tax on every litter than they were taking, when the prices were on peak.